USIPITWE! DOWNLOAD STATUS ZA WASHIKAJI ZAKO WHATSAPP KIRAHISI KUPITIA APP HII MPYA! KUINSTALL BONYEZA HAPA! BACKGROUND: In the early 1960’s the government of the then Tanganyika called upon the Christian Churches in the country to establish a referral and teaching hospital for the Northern Zone. Under the leadership of the Lutheran Church, Anglican and Moravian Churches in Tanganyika established the Good Samaritan Foundation (GSF) which planned and raised money from both local and overseas partners to build and equip the Kilimanjaro Christian Medical Centre (KCMC) for service, teaching and research. 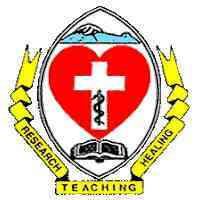 Kilimanjaro Christian Medical University College is Constituent College of Tumaini University Makumira owned by Evangelical Lutheran Church of Tanzania.